Is based on the federation's regular, well-organized and progressive teaching method. - Three levels of students (Beginner, Intermediate, Advanced). - Three levels of instructors (Primary, Secondary, Tertiary). It is the tool to initiate a fighter in the martial arts. 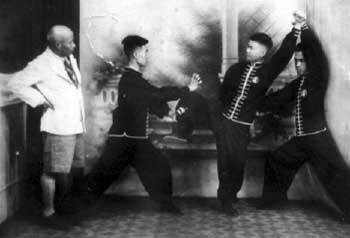 It includes the training sets and techniques; the tools for creating a martial artist. Moreover, the fighting applications and the training program of fighting includes semi and full contact. The training program of the therapeutic breathing exercises which ease the flow and increase of the pivotal energy (Qigong).